Best authentic Bahamas wedding band tailored to your vision and style! Chic Bahamas Weddings delights in sharing our vast knowledge of the beautiful Bahamas Islands with our brides. When you get in touch with us, you’ll learn about our favorite islands and venues. You’ll also learn about which island and venue best suit your event vision and style. And you’ll learn about entertainment … we’ll provide you with the best Bahamas wedding band. Our favorites include the islands of Eleuthera, Exuma, the Abacos, Paradise Island, Rose Island, Spanish Wells and Grand Bahama Island. Our favorite Bahamas wedding venues: the luxury Cove Eleuthera, the One and Only Ocean Club, Grand Isle Resort and Spa, the Abaco Club at Winding Bay and Pelican Bay at Lucaya. Music is an integral part of a Bahamas wedding experience. Live ceremony music is a must. As is your cocktail hour entertainment. 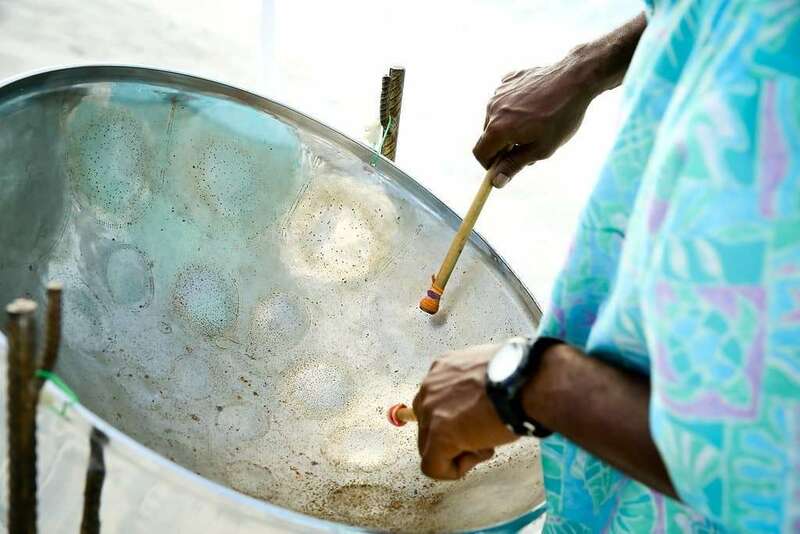 Our favorite for an authentic tropical music is a steel pan band. Options are a trio of two steel pan players accompanied by guitar, keyboard or drums. Another combination is a steel pan duo. Master artists and brothers, David and Michael Hoyte make a beautiful combination. Taught by their father to play the steel pan at an early age, both brothers are multi talented. In addition to writing music also play other instruments. David and Michael, known as Mikey, travel anywhere in the Bahamas to entertain you and your guests. 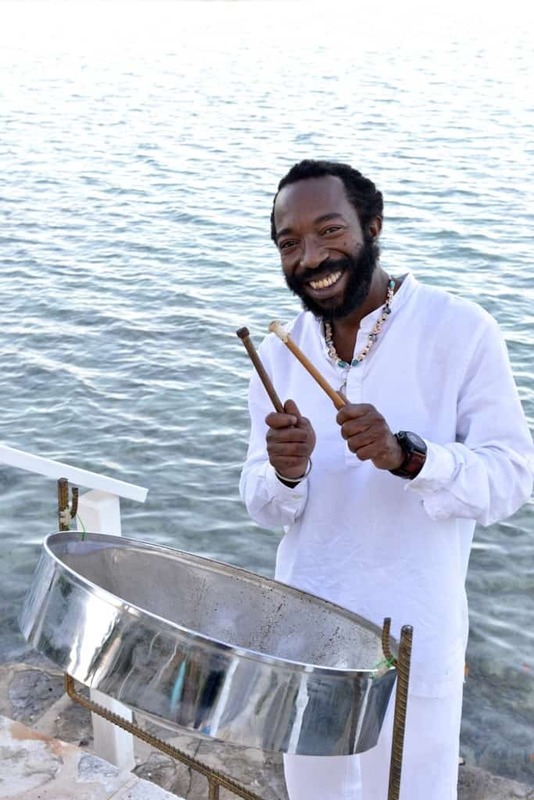 The strains of steel pan music are perfect for your wedding ceremony and cocktail hour. 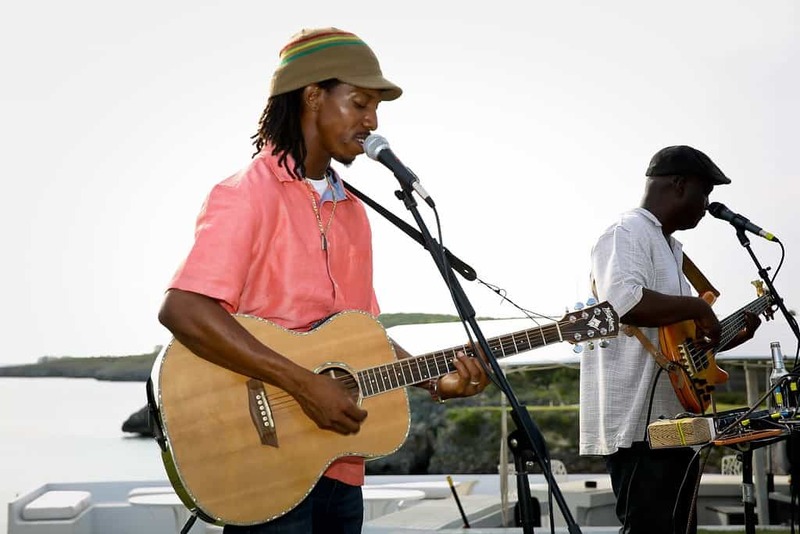 Eleuthera and Harbour Island guitarist and singer Clement Fowler is a talented and versatile musician. Whether it’s playing at your destination wedding ceremony, cocktail hour or a welcome beach barbecue, guests are thrilled. Clement has entertained many wedding groups at the chic and luxury Cove Eleuthera, Gregory Town. His repertoire ranges from classics to Reggae, Beattle favorites and more. Clement accommodates special music requests with ease. Choosing amongst an overwhelming array of Bahamas wedding venues can seem daunting, but it doesn’t have to be if you have help throughout the process. The wedding planners at Chic Bahamas Weddings can help you decide not only on the location for your wedding but on where you and your guests will stay. We have many recommendations for delicious, local food, bands and activities to offer wedding guests. If you’re planning a Bahamas wedding on Eleuthera, Nassau, Grand Bahama Island, or Exuma, you have the option to choose between a variety of beautiful locations and music. Whether you want your wedding to be held in an old colonial church, a tropical garden, or right on the beach, there’s a venue for you. The options listed above are some of our favorites at Chic Bahamas Weddings, but the true beauty is in the details. There are countless beautiful beaches, indoor reception areas, private estates, and more for the bride, groom, and up to 100 guests.